The 5th day of the 5th lunar month is the Duanwu Festival, or the Dragon Boat Festival, which is celebrated everywhere in China. The festival dates back to about 2,000 years ago with a number of legends explaining its origin. 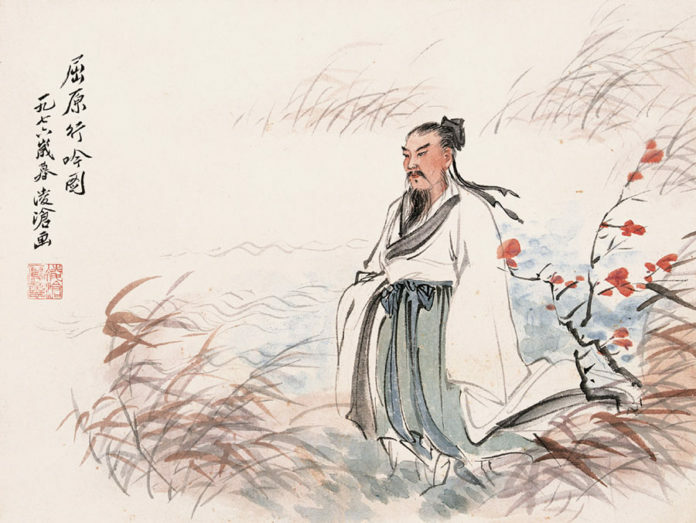 The best-known story centers on a great patriotic poet named Qu Yuan. The customs vary a lot in different areas of the country, but most families hang a picture of Zhong Kui (a ghost that can exorcise), calamus and moxa in their houses. People have Dragon Boat Races, eat zongzi (a dumpling made of glutinous rice wrapped in bamboo or reed leaves) and carry a spice bag around with them. Zhong Kui was the exorcist par excellence. His picture, a fierce-looking man brandishing a magic sword, used to be hung in Chinese houses in order to scare away evil spirits and demons. On this day, most families also hang calamus and moxa (oriental plants) on the front door. This is also to ward off evil. People hang mugwort leaves at the entrance of their house ahead of the Dragon Boat Festival in Zigui County of Yichang City, central China’s Hubei Province. The main event of the festival is the Dragon Boat Race. These boats are long and thin with dragon heads on the bow of the ships. The boat races are said to represent the search for Qu Yuan’s body, with racing boats in a forward rowing motion, to the rhythm of beating drums. Qu Yuan drowned on the 5th day of the 5th lunar month in 277 BC. Since ancient times, Chinese people threw dumplings made of glutinous rice wrapped in bamboo or reed leaves into the water on that day so the fish would eat the rice rather than the body of Qu Yuan. During the festival, a glutinous rice pudding called zong zi is eaten to symbolize the rice offerings to Qu. It is a very popular practice to drink this kind of Chinese liquor seasoned with realgar on this day, for protection from evil and disease for the rest of the year. It’s believed that if you carry a small spice bag around with you, it not only drives away evil spirits but also brings fortune and happiness to those who wear it. The small bags are hand-made by local craftsmen. They’re made with red, yellow, green and blue silk, fine satin or cotton. Figures of animals, flowers and fruits are often embroidered onto the bags and inside are mixed Chinese herbal medicines. Located in western Hubei province, Zigui is the hometown of Qu Yuan, a great poet who lived during the Warring States Period (475 BC – 221 BC). 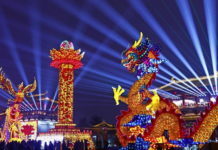 The festival dates back about 2,000 years with a number of legends explaining its origin. 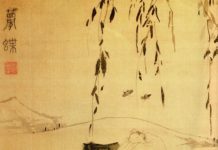 The best-known story centers on a great patriotic poet named Qu Yuan. In the Warring States Period (475-221BC), the State of Qin in the west was bent on annexing the other states, including the state of Chu, home of great poet Qu Yuan. Holding the second highest office in the state, Qu Yuan urged that the Chu State should resist Qin and ally with the State of Qi to the east. This was opposed by Zhang Yi, a minister of the State of Qin who was trying to disrupt any anti-Qin alliances. He seized upon an incident with a jealous court official in Chu to get rid of Qu Yuan. They made up a rumor that Qu Yuan was leaking state secrets and suborned the King of Chu to banish Qu Yuan from the capital in 313 BC. Neither Qu Yuan’s hope of reforming corrupt institutes nor his resolve to resist Qin set well with the King of Chu. Grieving for the condition of his homeland, for years Qu Yuan wandered about south of the Yangtze River. 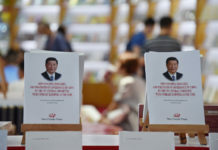 He poured out his feelings of grief and concern for his homeland in the allegorical Li Sao, a long autobiographical poem in which he tells of his political ideal and the corruption and mismanagement of the court. In 280 BC Qin launched an overall invasion of Chu, and captured the Chu capital in 278 BC. The news reached Qu Yuan while he was near the Miluo River in today’s northeastern Hunan Province. In frustration at being unable to do anything to save his state, he clasped a big stone to his breast and leaped into the river to end his life. In memory of him, every year on the 5th day of the 5th lunar month, the day he drowned himself, dragon boat races, which are said to represent the search for his body, are held, and the Chinese people eat zongzi, which was originally thrown into the river to keep the fishes from eating the body of Qu Yuan. In addition, it is said that when hearing the news of Qu Yuan’s suicide, some doctors poured realgar wine into the Miluo River to anaesthetize the fishes, hence preventing them from eating Qu Yuan’s body.